Very often when you buy a special 'distillery only' release(even if its from Ardbeg) you wonder if it's worth the additional premium you need to pay to acquire it. Well with one.. I can surely say that I'm one extremely satisfied customer. Nose: The journey begins with the familiar whiffs of peat and iodine.. like you have reached good old Islay once again. Further probing brings outs the juicy cantaloupes and rip honeydew. There is also candied sweets in the mix. The distinct iodine notes now mellow down to a more eucalyptus kind of smell which is really nice. Leaving the dram to breathe brings out the wood and caramel form the bourbon cask along with some bananas and oranges. The nose does have a lot to offer in this one. Palate: The palate isn't too sweet to begin with. But that isn't a problem really. There are oranges and a fair bit of pepper that come together. Also some charred/grilled meat in there too. Add to that some over 60% dark chocolatey notes. The sherry cask gradually begins to show its impact with a mild dryness that envelopes the mouth. The second sip brings a lot fresh cut fruits. 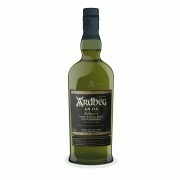 Again a very fine mix of various flavors that come out from this creamy dram. Another Ardbeg that has left a lasting impression!! Slainte!! @rigmorole...I assume that's your blog ...that's very well written... Well to be honest I'm not feeling too disappointed with the price of this one specifically.. firstly cus the monies are ultimately going for some cause and secondly cus the whisky itself is quite good...but with any other normal NAS that is over priced I wud agree with u.. Thanks for the great review! I really enjoyed hearing about the sensory impressions associated with this unique whisky.